Firsts put a frying pan on medium flame. Then add olive oil and chopped spring onions and mushrooms. Now saute the mixture for a while. Whisk all eggs, with milk, Then season it with ground pepper and salt as per your taste. Then add mozzarella cheese and fry the mixture on medium flame for 3-4 minutes. 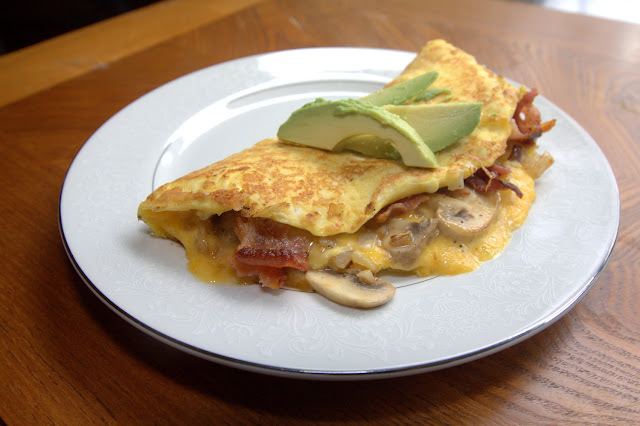 Here is our omelet is ready to serve. Enjoy! !